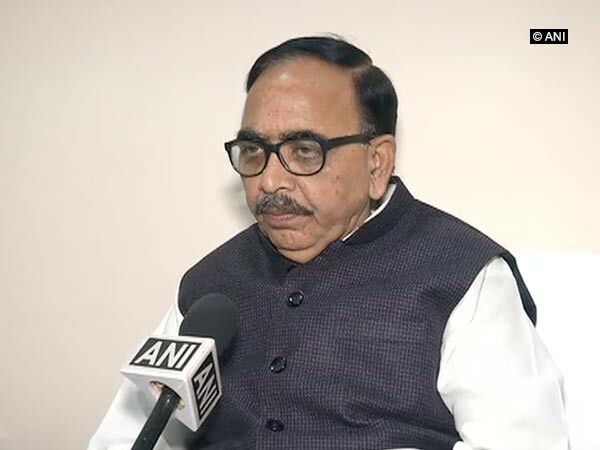 Bhopal (Madhya Pradesh) [India], May 24 (ANI): The Congress Party on Thursday hinted that it is willing to forge an alliance with other "like-minded" parties to take on the Bharatiya Janata Party (BJP) in the upcoming Madhya Pradesh assembly election. Ahmedabad (Gujarat) [India], Dec 3 (ANI): Both VVPAT machines and Electronic Voting Machines (EVMs) will be used in all 50,264 voting booths of 182 constituencies in Gujarat, in the upcoming state assembly elections, the Chief Election Commissioner of India, AK Joti informed on Sunday. Kolkata (West Bengal) [India], Dec 2 (ANI): Samajwadi Party leader Azam Khan on Saturday cornered the Bharatiya Janata Party (BJP), alleging the latter used unfair means to win the Uttar Pradesh civic polls. Kathua (Jammu and Kashmir) [India], Dec 1 (ANI): Minister of State in Prime Minister's Office, Jitendra Singh on Friday said Uttar Pradesh civic poll results show that the Indian public trusts Prime Minister Narendra Modi. New Delhi [India], Dec 1 (ANI): As the Bharatiya Janata Party (BJP) heads for a massive win in the Uttar Pradesh civic polls, Prime Minister Narendra Modi on Friday said that "development has triumphed once again in the country." Ahmedabad (Gujarat) [India], Dec 1 (ANI): Information and Broadcasting Minister Smriti Irani on Friday expressed her confidence in the Bharatiya Janata Party's (BJP) win in the upcoming Gujarat assembly elections, contending that the results of Uttar Pradesh civic polls were a proof of the "
Lucknow (Uttar Pradesh) [India] Dec. 01 (ANI): The results of the Uttar Pradesh civic polls are an eye opener for everyone, according to Chief Minister Yogi Adityanath on Friday. Lucknow (Uttar Pradesh) [India] Dec. 01 (ANI): The ruling Bharaitya Janata Party (BJP) is poised to shine in the Uttar Pradesh Civic Polls. Lucknow (Uttar Pradesh) [India], December 1 (ANI): Amidst Uttar Pradesh civic polls counting, Bharatiya Janata Party (BJP) state chief Mahendra Nath Pandey on Friday said the party is leading with a good number in early trends. Muzaffarnagar (Uttar Pradesh) [India], December 1 (ANI): Four people were injured after Uttar Pradesh Police on Friday lathi-charged on crowd gathered outside counting centre in Muzaffarnagar. Lucknow (Uttar Pradesh) [India], December 1 (ANI): Counting of votes of all 652 Urban Local Bodies will be held on Friday at 334 centers in Uttar Pradesh.